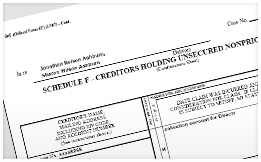 Find the Bankruptcy Records You Need! - Complete file is needeed when applying for FHA, SBA, and other loan types. - Always keep a file copy on hand. - Can be used to verify claims disputes from creditors claiming not to be included in case. - Will be required to produce this form when applying for any form of credit/loan. "In the legal profession, I am constantly needing to access bankruptcy documents that my clients never seem to have on file. Bankruptcyrecordssearch.com is a great resource for doing just this." "I needed an old bankruptcy record so that my mortage application could be processed. It had been so long that I didn't think I would need the record again. I was able to obtain the record and information I needed instantly." "I spent hours searching online for the bankruptcy record information that I needed. Wish I would have found your site first." 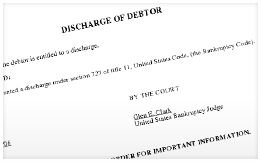 Bankruptcy Records Search is the only public records resource dedicated excusively to locating bankruptcy records for its users. No more endless searches that produce little or no results. We have the documents and informaiton you need. 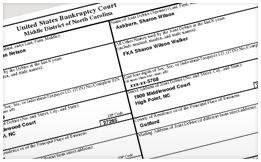 Our bankruptcy records database allows you to locate records by name, state, or case number, and documents emailed to you almost immediately. We cover all 50 states, and every county court, so there isn't a record that we can't retrieve. Start your search now! Upon completion of your order, our database is automatically alerted to the documents you've requested and begins the retrieval process. Once the documents ordered have been located, you will receive an email with the documents attached in .pdf file format so you will have hard copies of the documents for your personal record keeping. NOTE: This website has no affiliation with the United States Government or any Federal or State government agency.